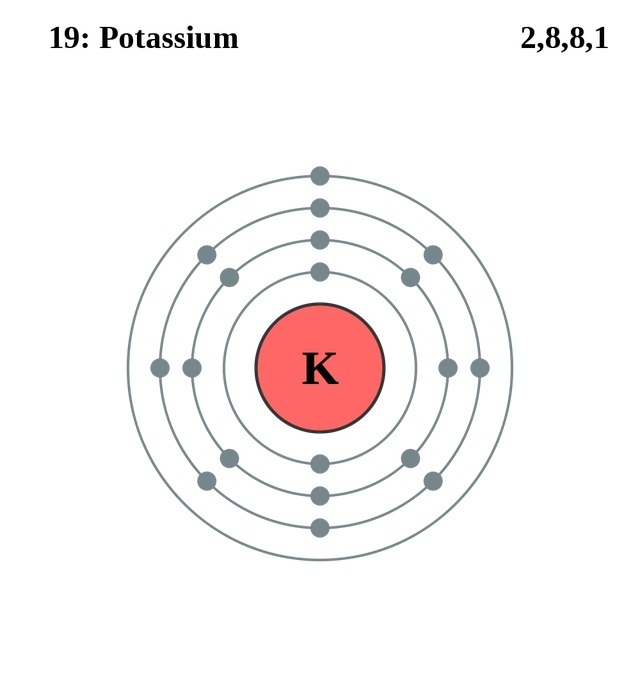 Potassium (pronunciation poh-TASS-ee-em ), represented by the chemical symbol or formula K , is a soft element belonging to the family of alkali metals  that can be easily cut . 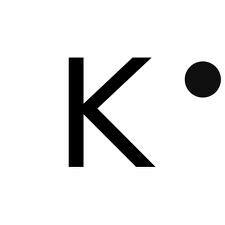 Naturally occurring K is a mixture of 3 isotopes with mass numbers 39, 40 and 41 [1, 3]. Besides that, it has 20 synthetic, radioactive isotopes with known half-lives . Though it has a shiny surface, it gets tarnished easily due to reaction with moisture and oxygen. It reacts rapidly with water, halogens, acids and bases . Being the seventh most abundant element in the earth’s crust, it constitutes 2.4% of it by mass. 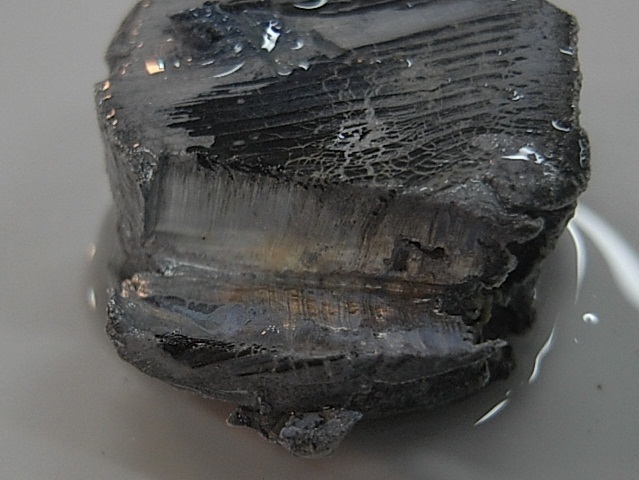 Mostly potassium minerals are found in igneous rocks. However, the K contained in them is difficult to extract. Other minerals such as sylvinite, sylvite and carnalite that are found in the deposits formed by the evaporation of old lakes and seas yield the element more easily. Oceans are an important source of potassium salts. About 35 million tonnes of it is extracted every year by mining . Potassium is needed for life. 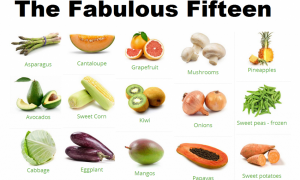 Potassium ions, found in all cells, help in maintaining fluid and electrolyte balance. For humans, the average daily K intake is up to 7 grams. Foods rich in potassium are potatoes, tomatoes, broccoli, nuts, raisins, sardines, chocolates, etc . Banana, avocado and cucumber are fruits high in K . Our kidneys remove excess potassium from our bodies by producing urine . Origin of Its Name: Its name is derived from the English word “potash”. The origin of its chemical symbol is the Latin word for alkali, “kalium” [1, 2]. Who Discovered It: English chemist, Sir Humphry Davy [1, 3]. 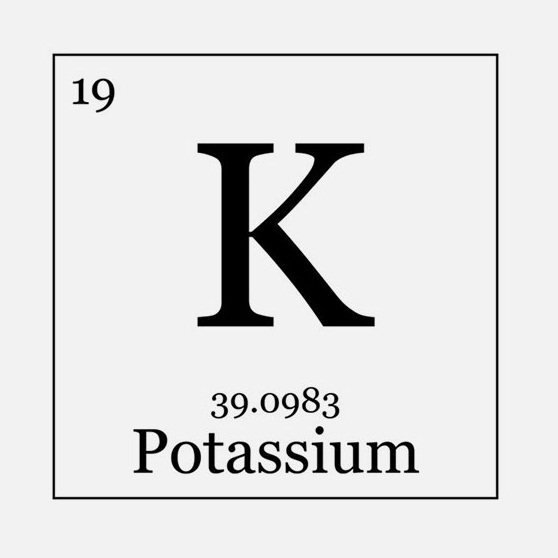 When Was Potassium Discovered: Its discovery year is 1807 . 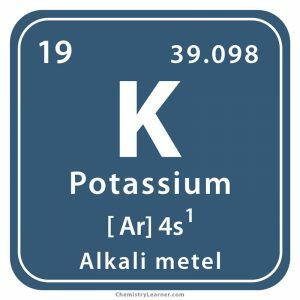 Though potassium salts have been used by mankind since centuries, their reduction to the element eluded early chemists and it was classified as an ‘earth’ by French chemist Antoine Lavoisier. In 1807, Davy passed electric current through moist potash and observed the formation of the globules of a new metal that was none other but potassium. He found that when they were dropped in water, they skimmed the surface burning with a lavender flame . Potassium compounds have high importance as fertilizers. Plant cells that are especially rich in K extract it from the soil . Potassium carbonate is used in glass manufacture . 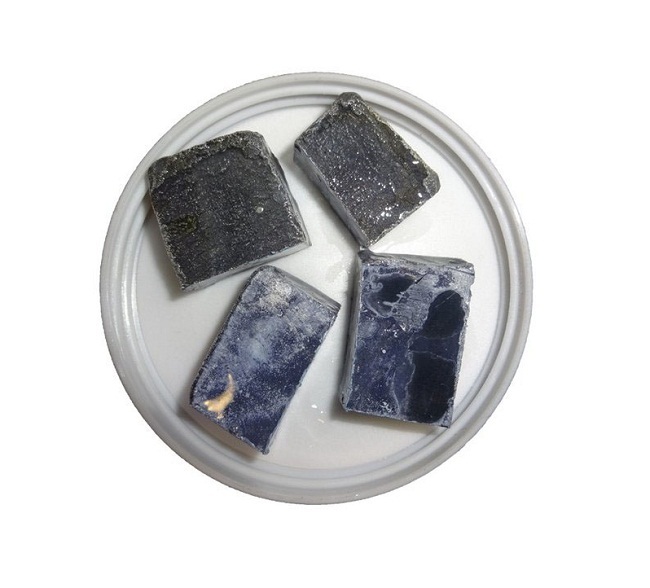 Potassium hydroxide finds application in the making of liquid and detergent soaps . Saline drips and pharmaceuticals greatly use potassium chloride . Potassium-40 though mildly radioactive, may naturally cause genetic mutation in human beings . Too much potassium in the blood can lead to cardiac arrest and even death . 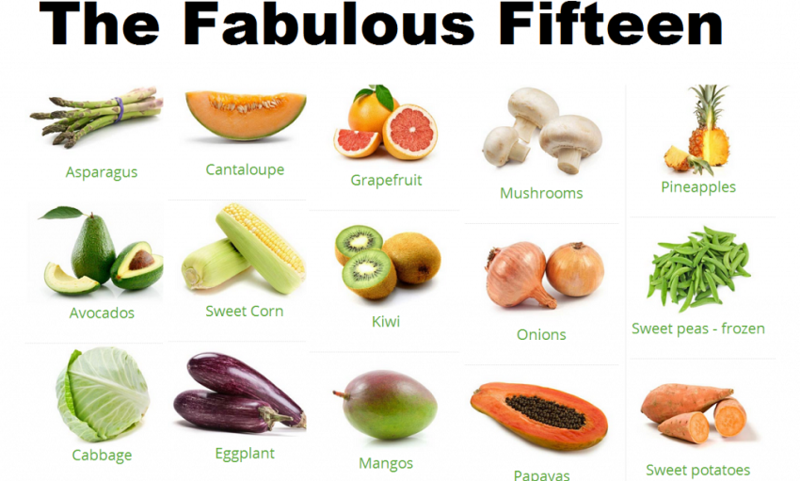 Potassium deficiency may cause fatigue, muscle spasms, cramping, nausea, etc . 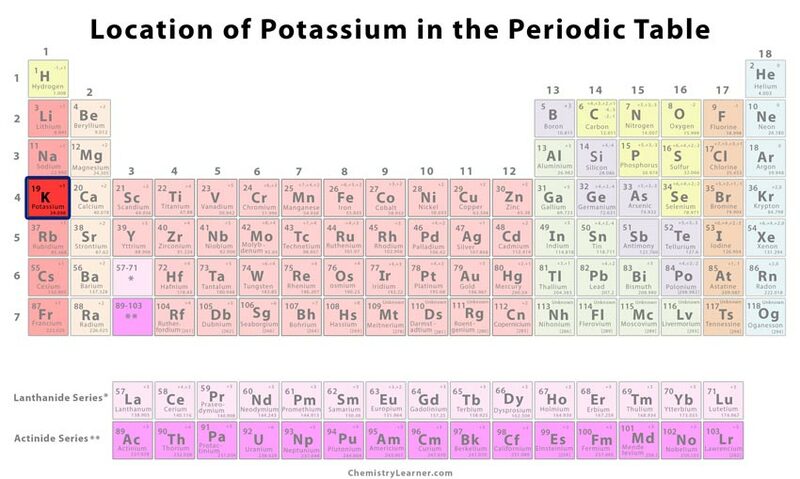 Potassium is the first metal obtained by electrolysis . The pure metal is priced at $100 for every 100 gram and in bulk, the same quantity costs $65 .